For the first time in a long time at the weekend I had a day of just being inspired and creating nail designs. I have had a bit of a hiatus in here and poor Jo has had to keep things afloat while I've been drowning in work so it was really nice to just browse through Pinterest and Instagram to get inspired. The idea behind this design came from a print I found on Pinterest. I loved the contrast of the monochrome and the bright green. Unfortunately I was logged in to my other account and didn't like the pic so I am having trouble refinding it but if I do I shall post the link for y'all. 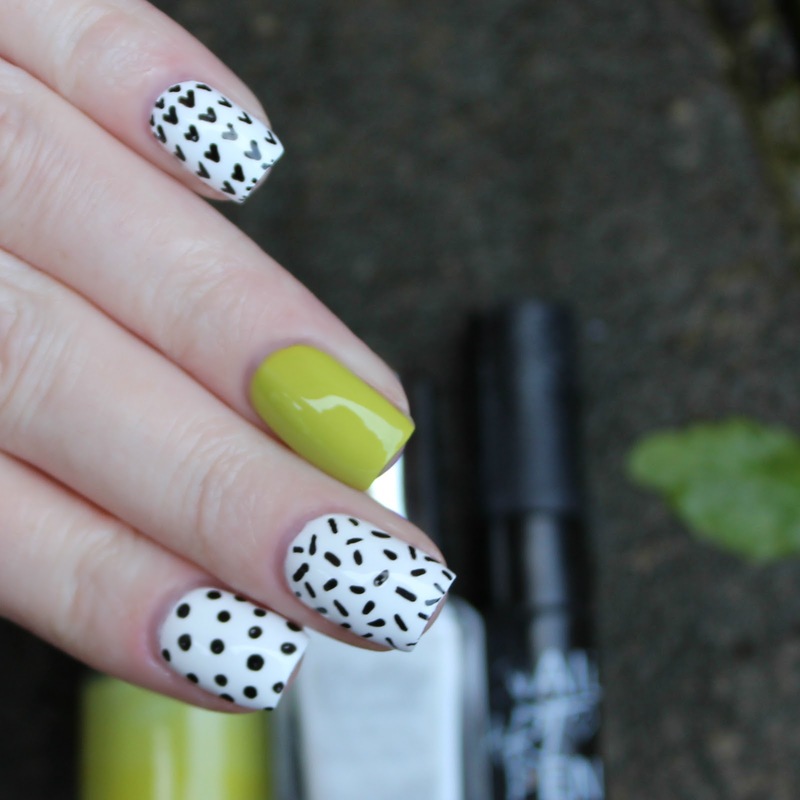 I used Barry M's Coconut* for the white base and drew various patterns with my black nail art pen. For the green I used Maybelline's Pow Green which is a shade I love on its own as well as as an accent. I think it works really well here. The bottle looks like it has gone a bit funny but the colour still applies fine. I went for two looks here: mattified and shiny. Which one do you prefer? Normally I lean one way or another but I can't make up my mine here - they are both fab!